What are the effects a high-conflict divorce can have on the children? 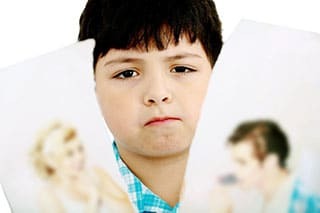 A high-conflict divorce can have a very devastating effect on children. The fighting, the tension, the emotional turmoil – a lot of times the children do pick up on this. It’s very important for the clients to remember that they love their child more than the emotional troubles that they’re having with their spouse and the dislike. I often times will encourage the parties, or the party that I’m representing, to meet with a parenting specialist to help them create the parenting plan that’s in the child’s best interest. Therapy is also something that is a very useful tool for the parents to keep the emotions that they may have for their spouse compartmentalized and allow them to parent and understand that they are both the child’s parent and the child has the right to have both them as parents in his or her life. Partner at McGaughey & Spirito, California family lawyer Erin McGaughey handles complex divorce cases that involve child custody issues, financial issues, and business interests.